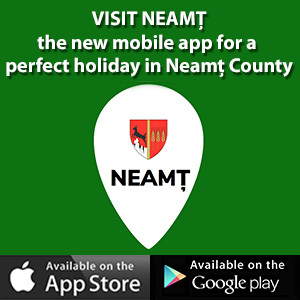 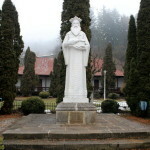 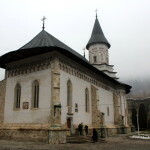 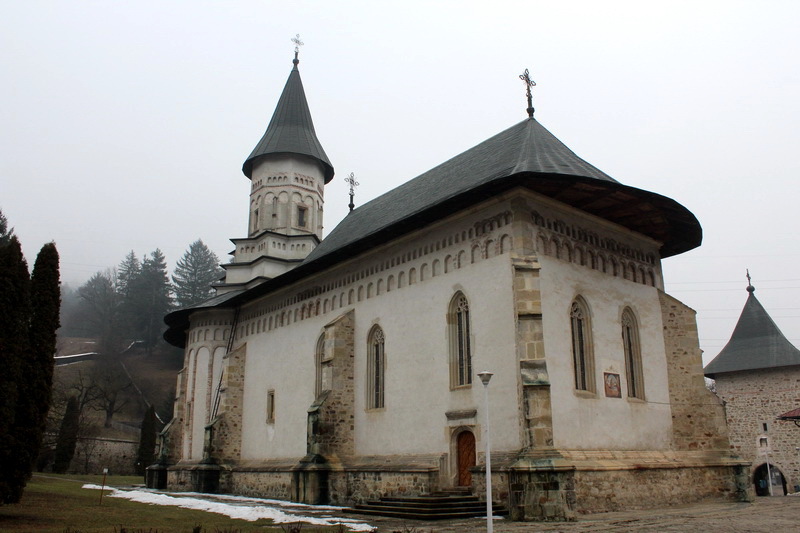 Located about 8 km from Piatra Neamt, in Alexander the Kind commune, on DN15 Piatra Neamt – Bicaz, Bistrita Monastery endures over six centuries between the forested peaks of Căpriana Ridges, the Cetatuia Hill, the Mount Simon and plateau of Peter Rares. 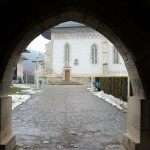 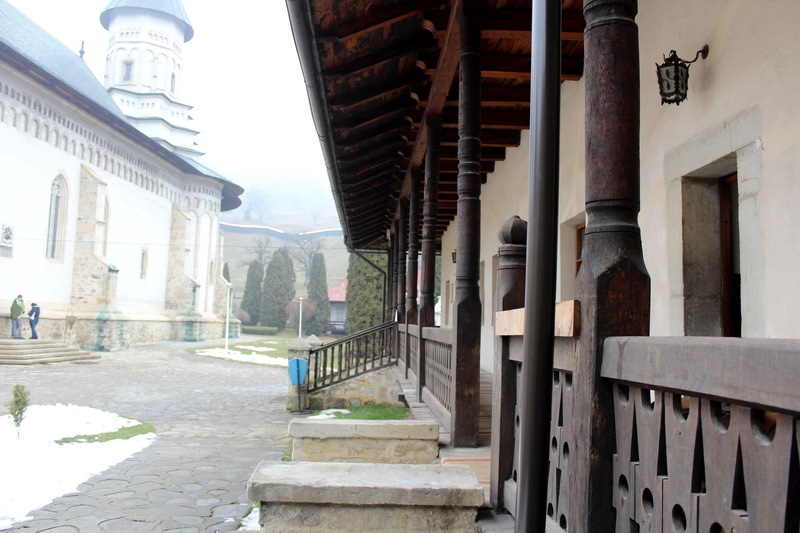 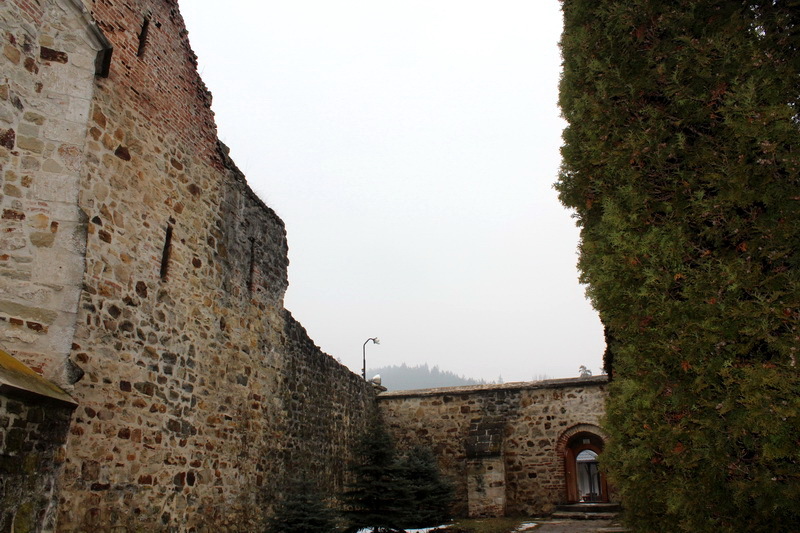 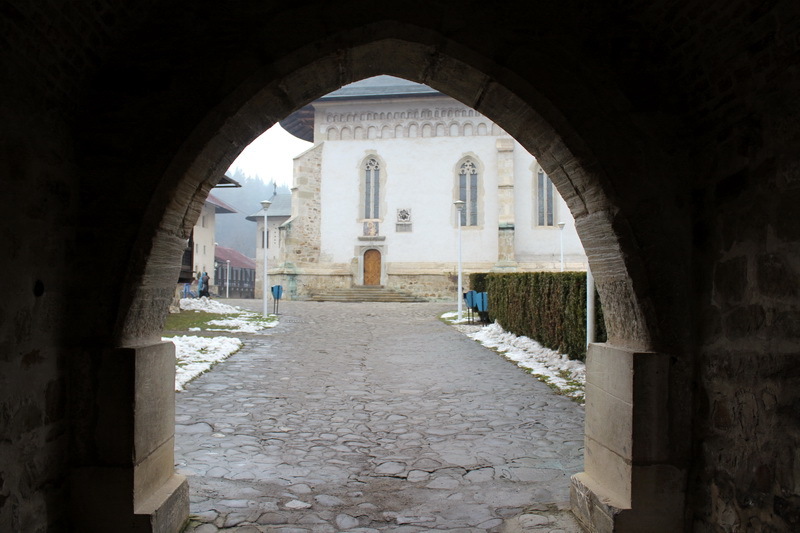 Between the hearth of the Orthodox faith and Romanian culture that elevates our nation’s past, Bistrita Monastery – dedicated to the Dormition of the Virgin, is among the oldest voivodal foundations in Romania. 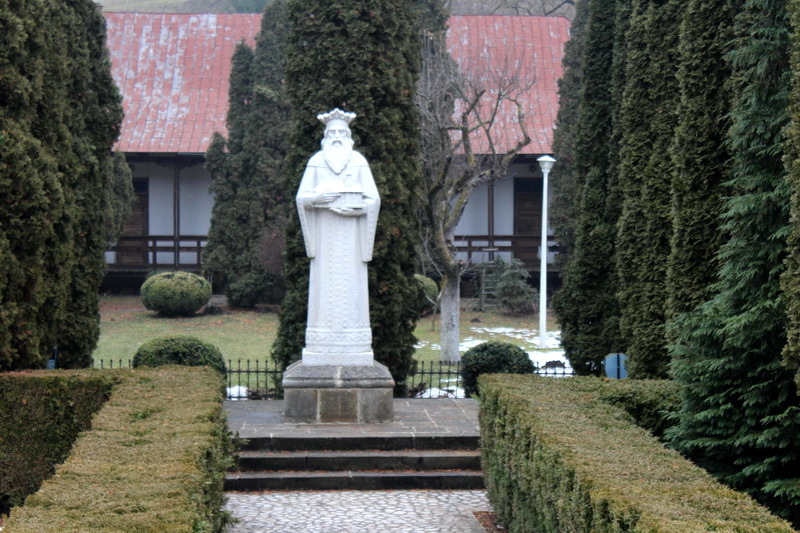 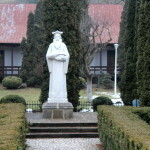 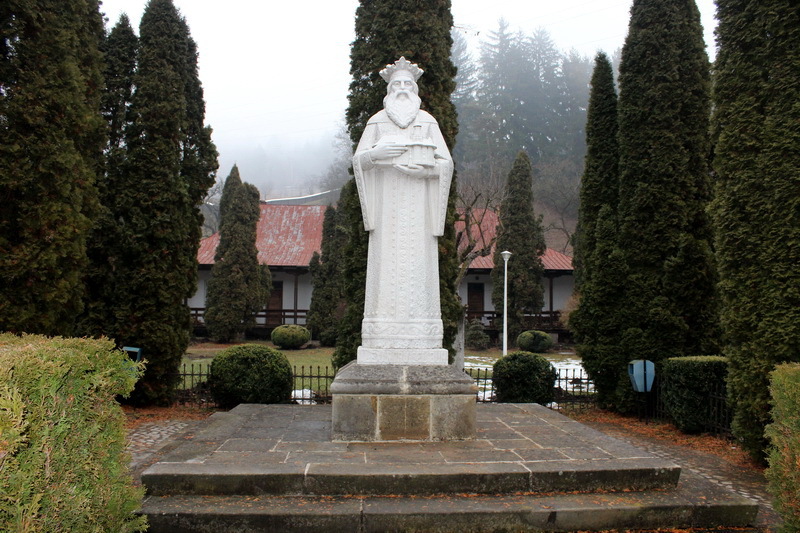 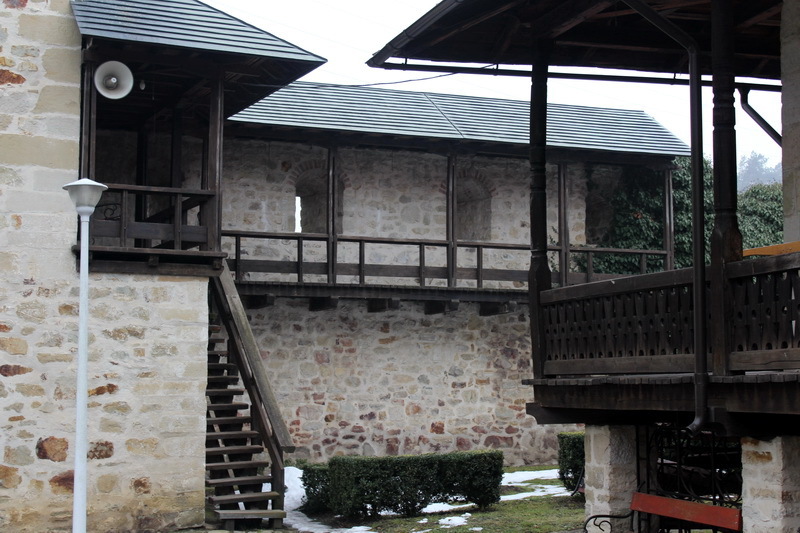 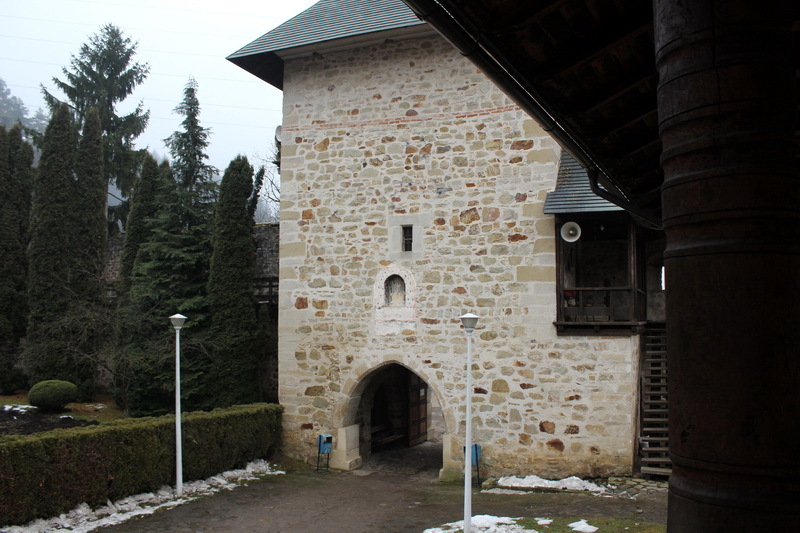 The first founder of the monastery is considered Petru I Musat, Prince of Moldavia (1375 – 1391) which lasted here a wooden hermitage. 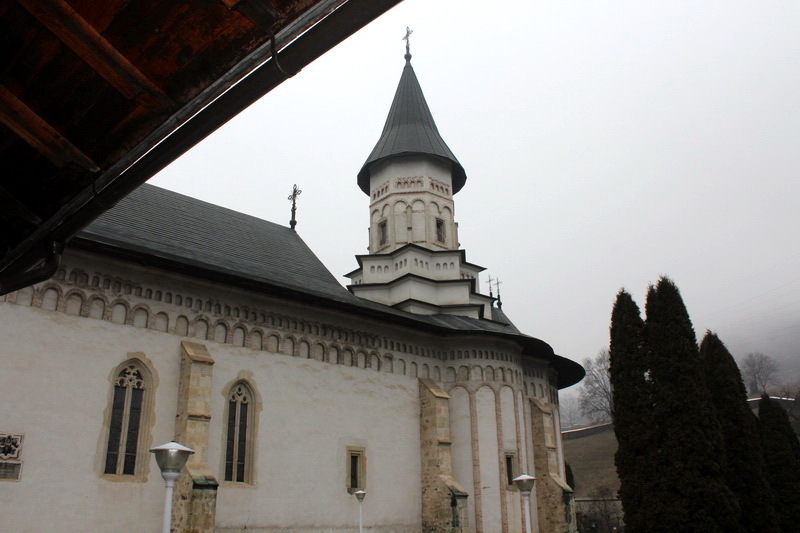 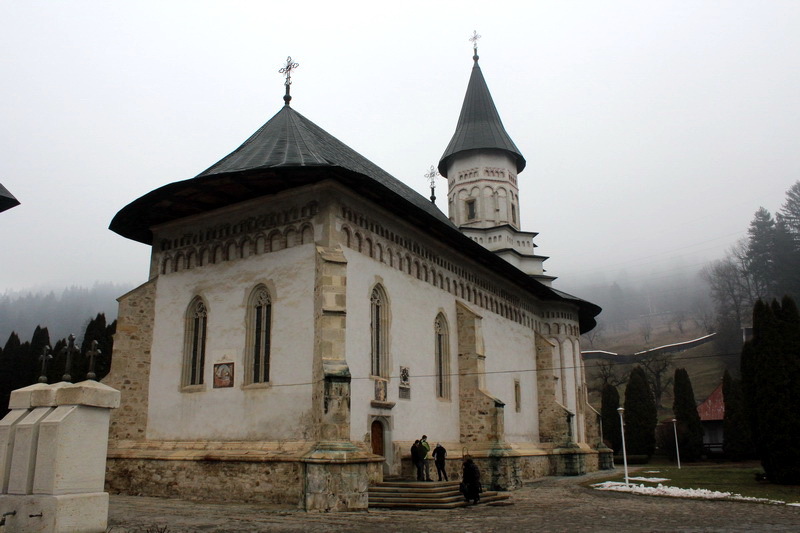 The real founder of Bistrita Monastery is considered Alexandru cel Bun, prince of Moldavia (1400 – 1432) which builds, in 1402, an imposing stone church, a true Musatin cathedral. 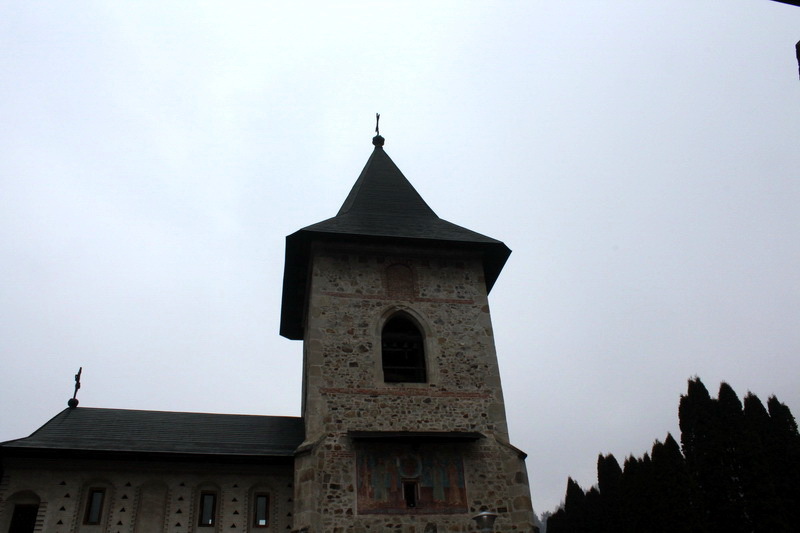 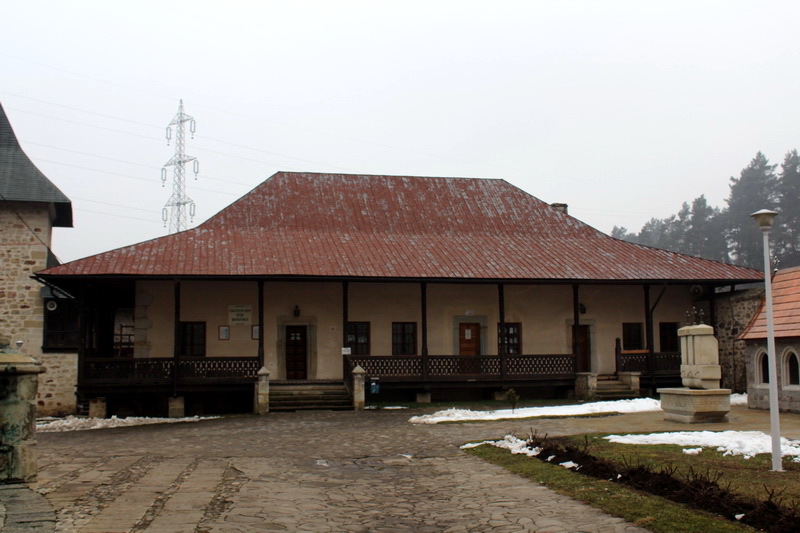 Retaining the classic Moldavian style, this place was made at that time on a par with Neamt Monastery. 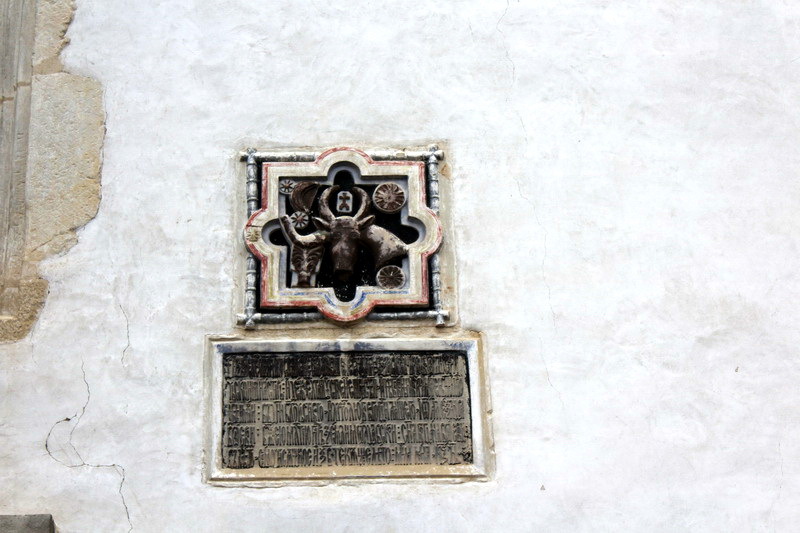 In 1418, Mrs. Ana was buried in the crypt of the church slab, and at 1st January 1432 was brought Alexander the Kind. 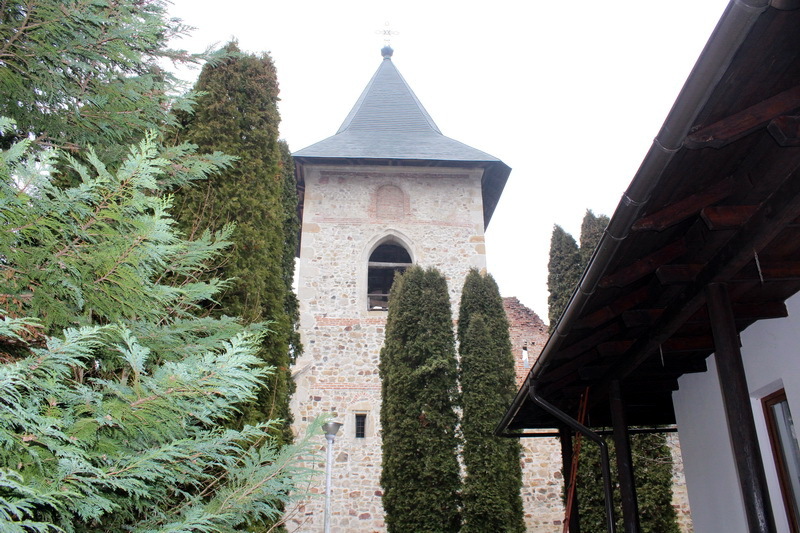 In 1498, Stephen the Great scored his name among the founders of the monastery, raising an imposing bell tower with oratory. 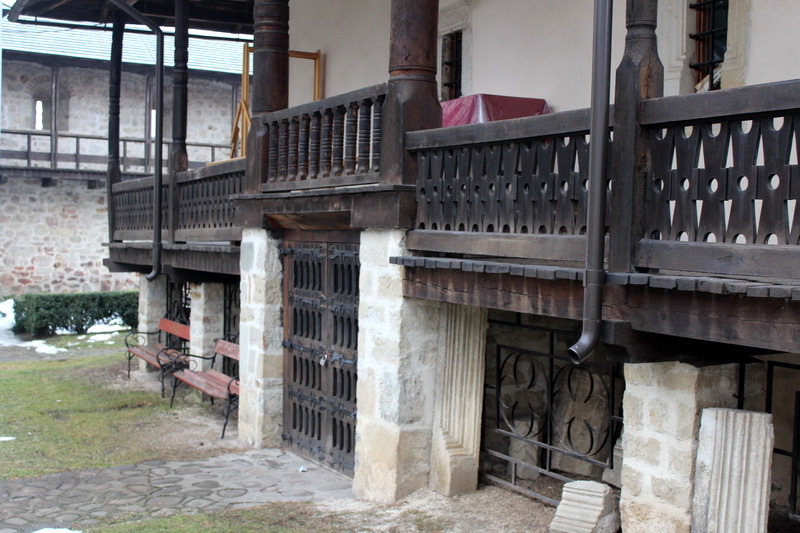 Petru Rares (1527 – 1538 and 1541 -1546) is another founder of the Bistrita Monastery but the work begun by him was continued and completed by his son in law, Alexandru Lapusneanu, (1552 – 1561 and 1564 -1568), such enrolling among the founders of this famous place of faith and Romanian culture. 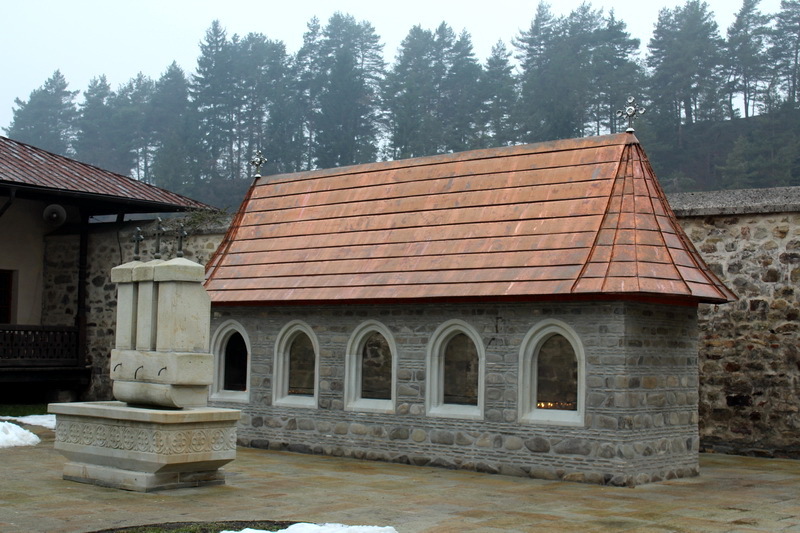 In the church build by him, is the tomb of the chronicler Grigore Ureche, and, as shown by the inscription of the funerary stone, Alexandrel`s pit, first of the sons of Stephen the Great, deposited here in 1494. 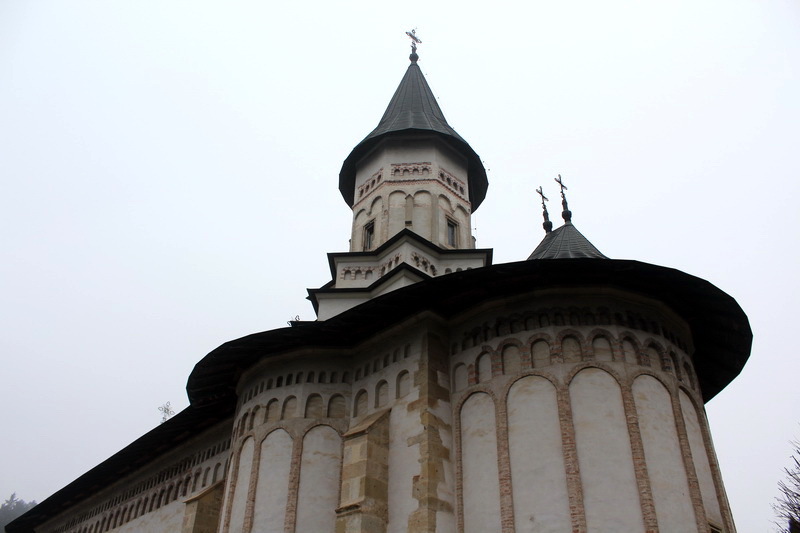 The nave is preserved the icon of St. Anna, creation of Byzantine art with great historical, artistic and spiritual value. 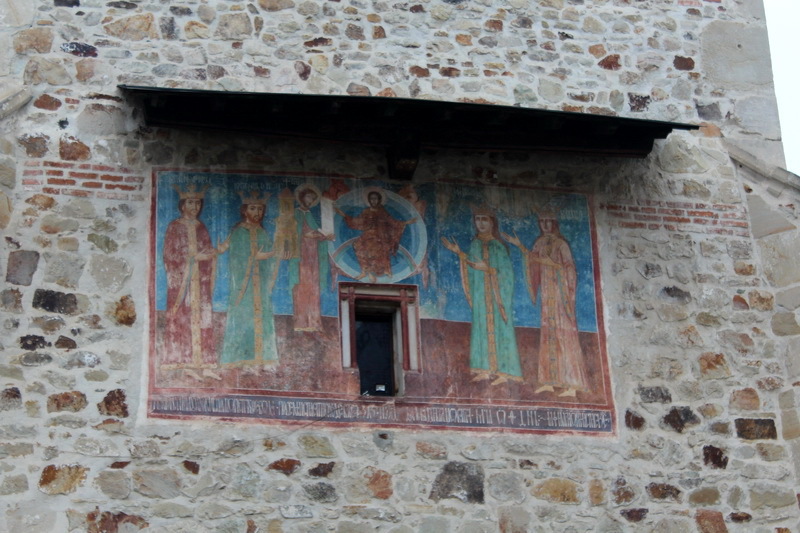 The wonder-working icon is considered to be The Emperor`s Manuel II Palaeologus gift (1391-1425) and his wife, Ana. 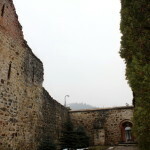 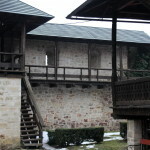 The events of 1821 have affected the monastery, even in the church took place true battles between Turkish and eterists. 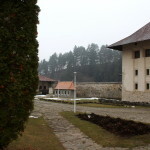 Then all the buildings have suffered from fire, when the graves of the founders were desecrated and were plundered numerous manuscripts, embroideries and objects of worship. 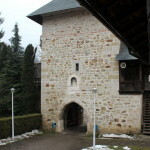 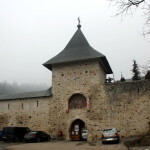 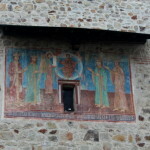 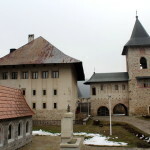 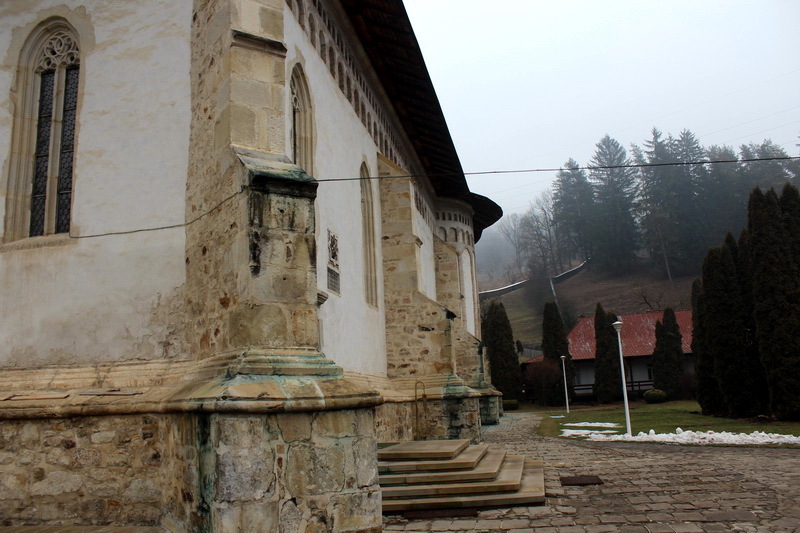 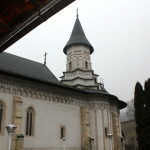 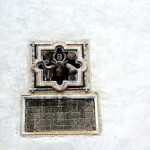 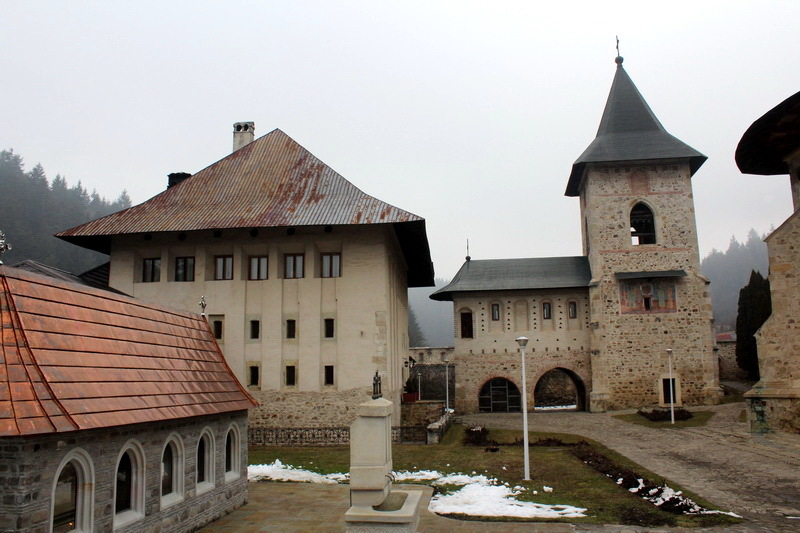 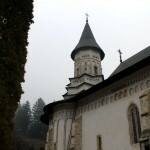 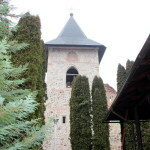 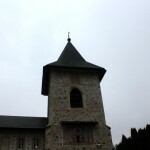 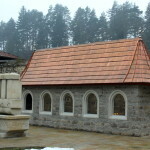 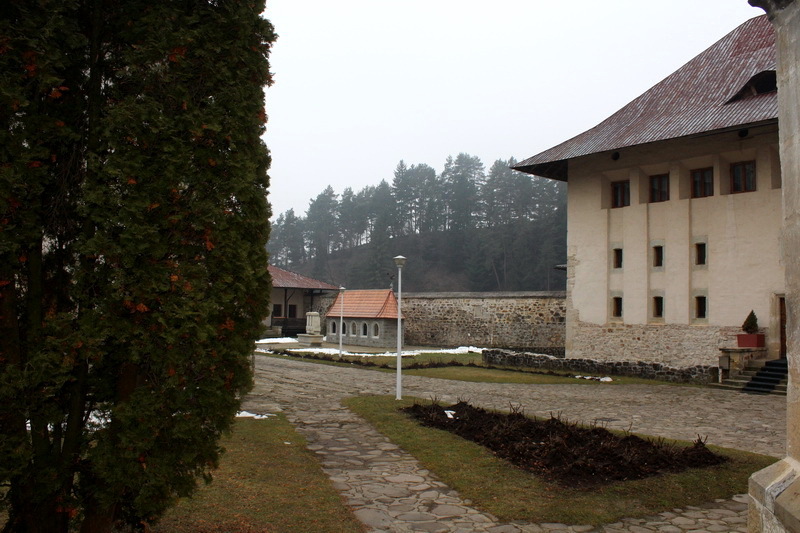 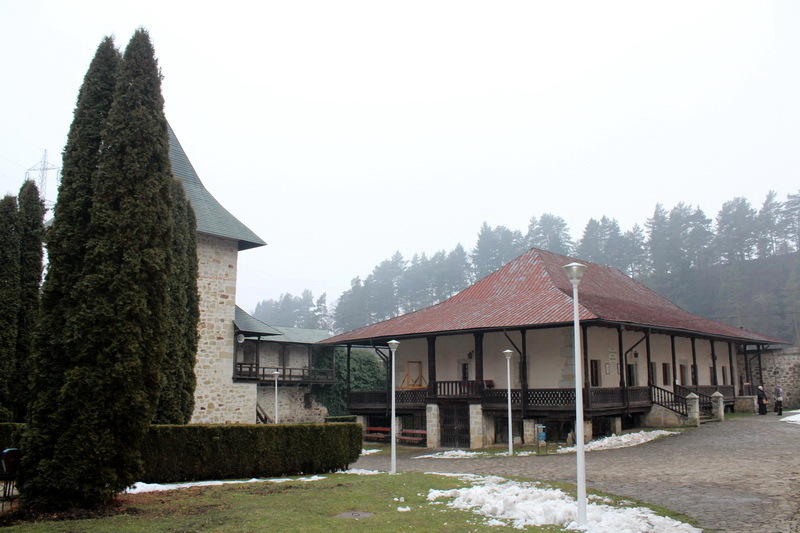 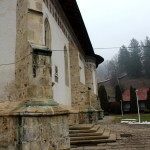 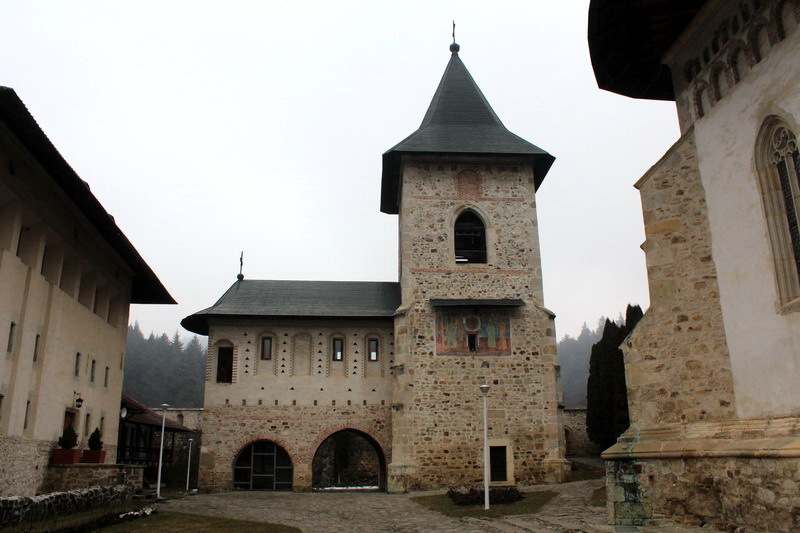 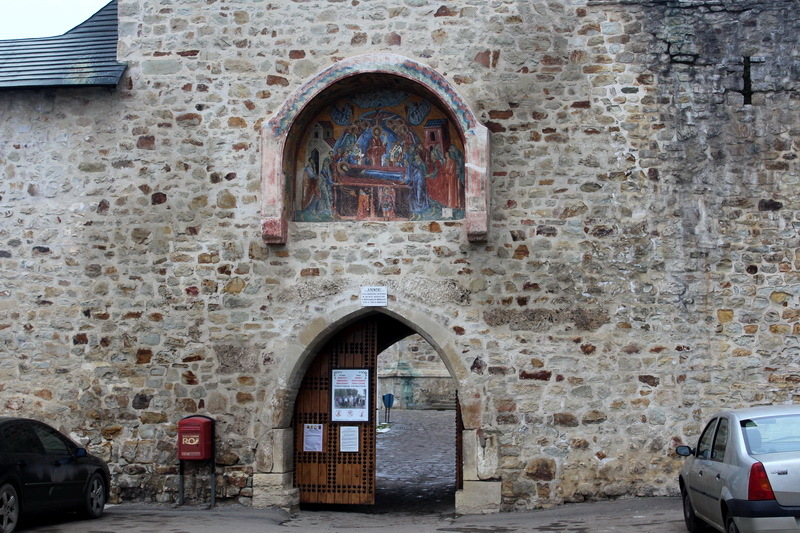 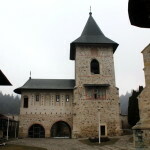 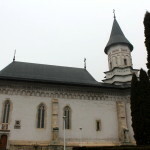 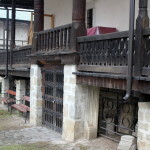 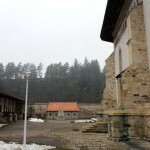 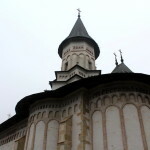 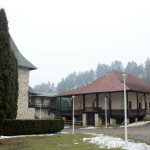 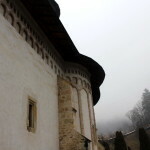 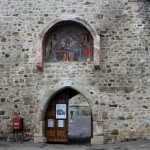 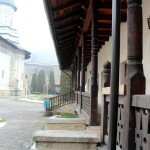 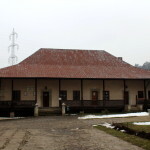 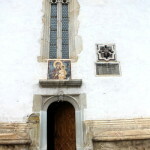 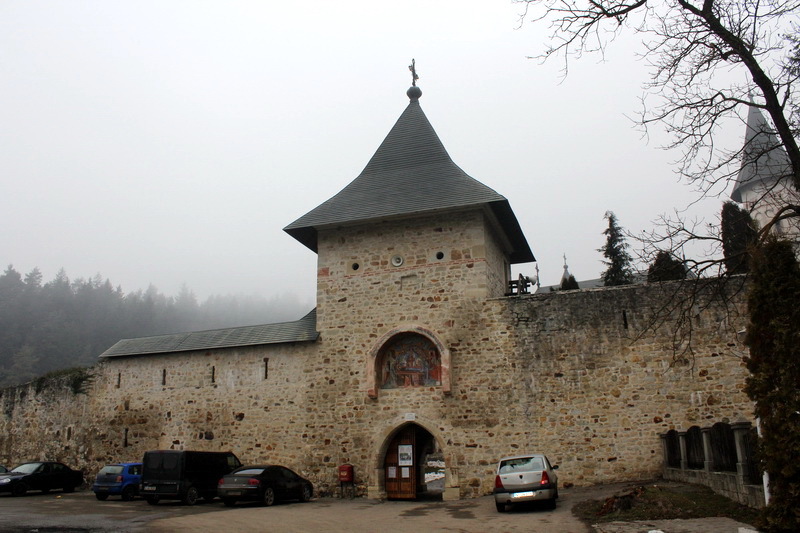 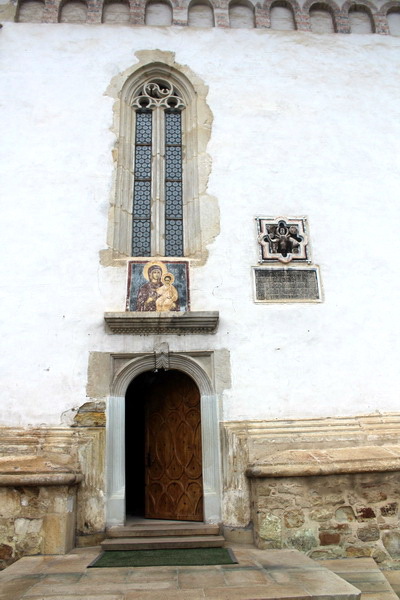 However, the monastery’s museum, founded in 1932 and restored in 1984, preserves a large number of icons from the XVI-XVIII, numerous sculptures and a fresco discovered during archaeological research, remains of the royal vestments and other objects from the voivodal necropolis and antique coins. 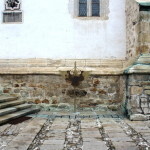 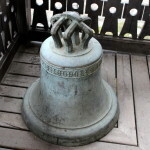 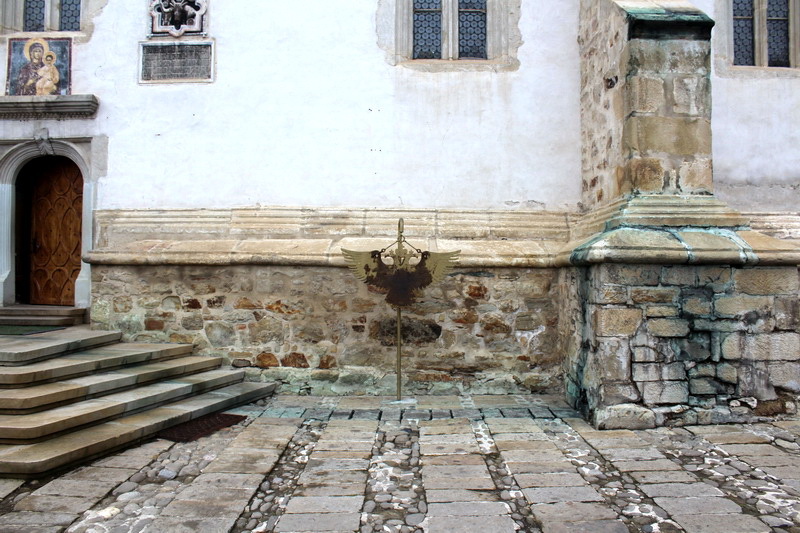 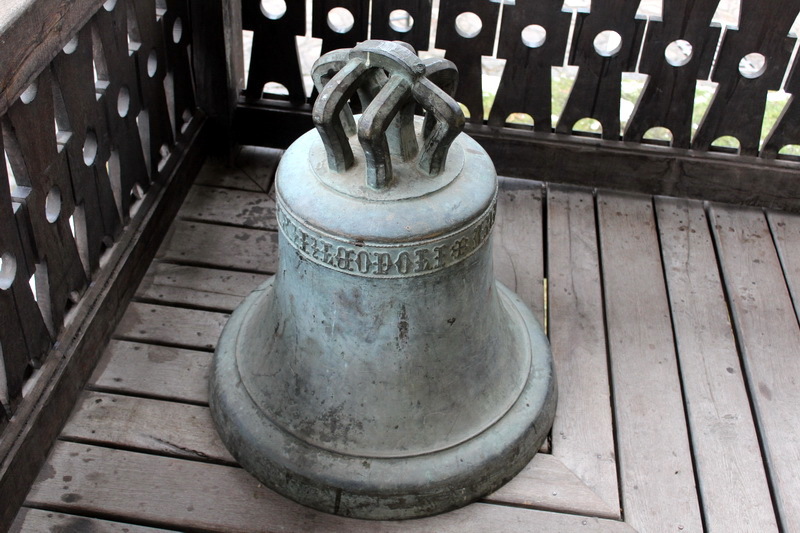 At the entrance is the great bell given to the monastery by Stephen the Great in 1494, weighing about 800 kg adorned with an inscription in Slavonic and a beautiful emblem of Moldavia, performed like old occidental heraldic signes. 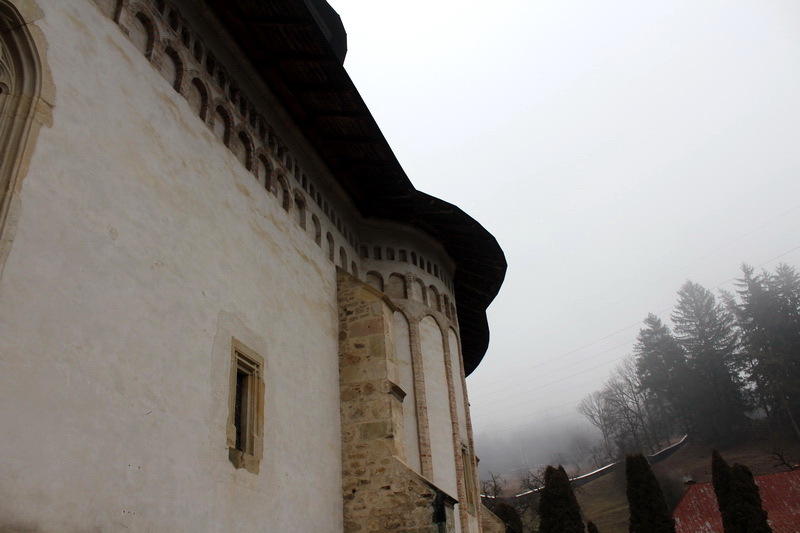 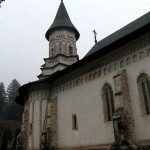 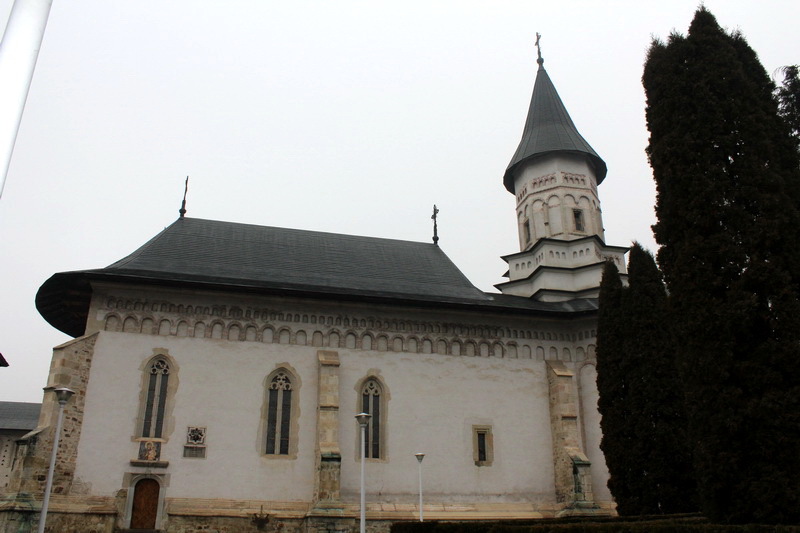 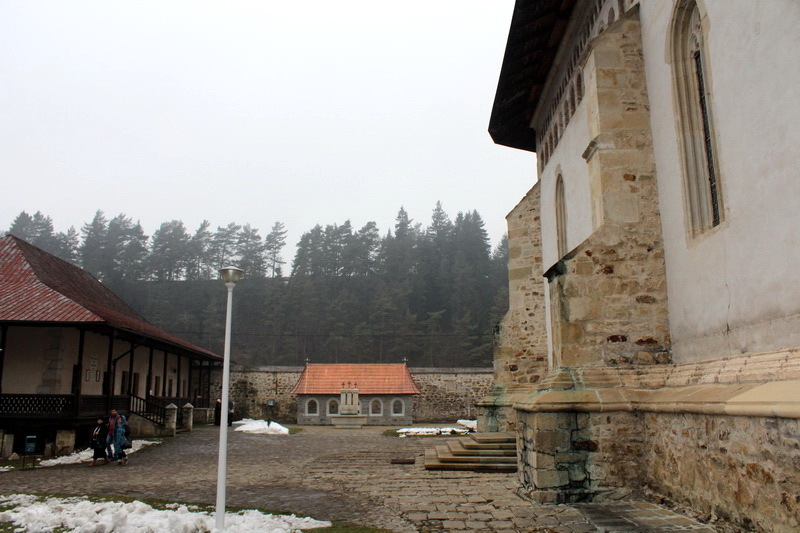 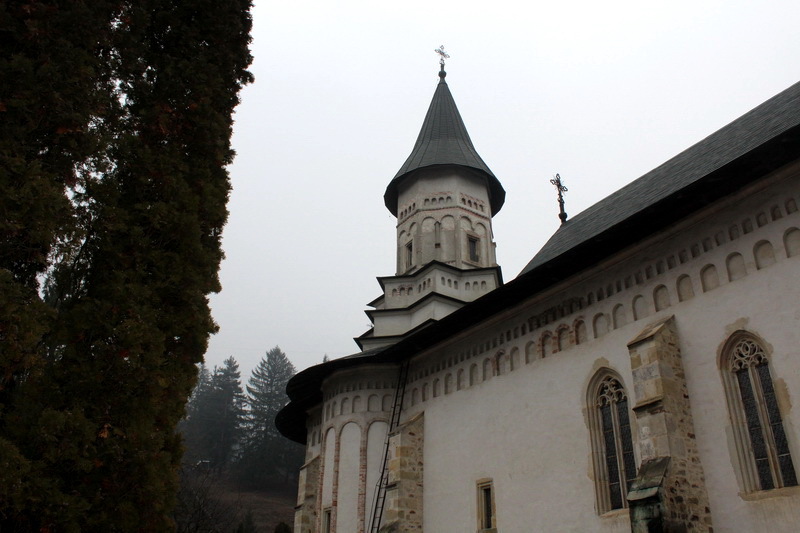 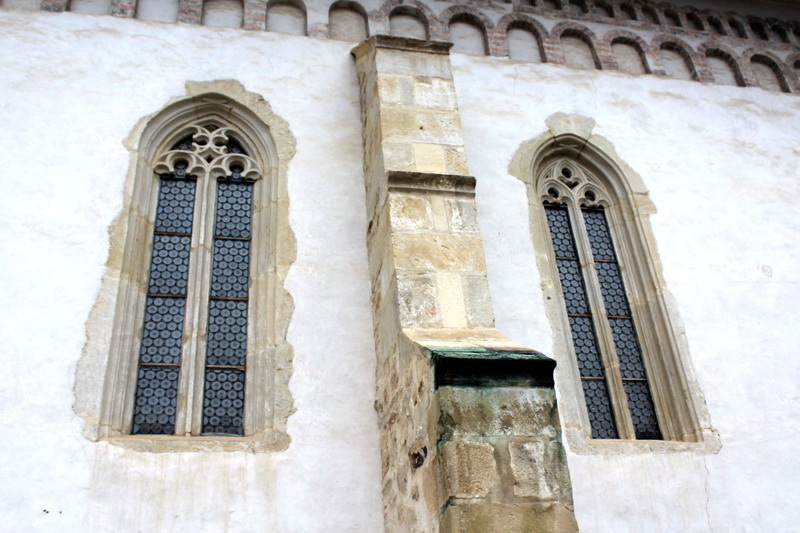 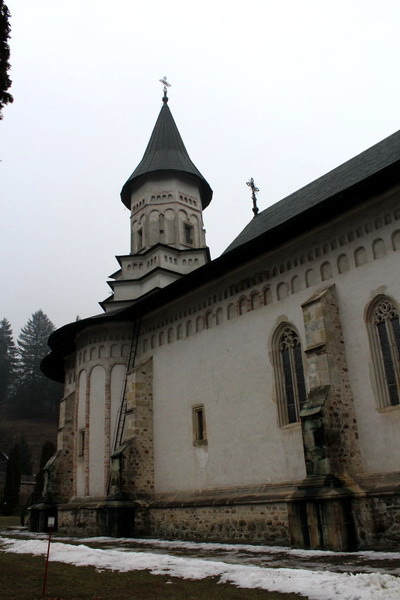 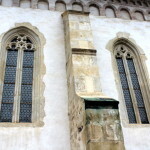 Bistrita Monastery is an architecture monument of national interest.